Porcher Abrasive Coatings Ltd. is the leading UK manufacturer of specialist temperature-cured abrasive coated surfaces. 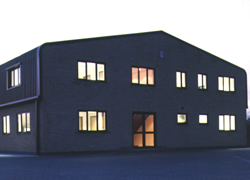 Established in 1992, the company operates internationally from modern, purpose-built premises on a 4 acre site in Boston, Lincolnshire, UK. We have a highly skilled team of Engineers, the majority of which have been with the company for over ten years, offering excellent quality and finished product. All products are manufactured under ISO 9001: 2015 Quality Management Systems, as approved by The Lloyds Register Quality Assurance. High emphasis is placed on working to our customers exacting requirements and schedules whilst providing reliable and robust products. Our abrasive coatings are used worldwide in a variety of applications ranging from heavy industry to healthcare and hygiene. We are actively involved in research and development projects and would welcome any enquiries with this in mind.